“A History of the World in 100 Objects” marked a transformative moment for the British Museum. A groundbreaking project devised in 2010 with BBC Radio 4, it included a 100-part radio series voiced by the museum’s director, Neil MacGregor. Now “Germany: Memories of a Nation”, a similar collaboration developed to mark the 25th anniversary of the fall of the Berlin Wall, sees Mr MacGregor’s erudite, entertaining voice returning to the airwaves. He narrates another project that again hopes to make its audience reassess stories they thought they knew and consider those they never knew at all. This combination of radio series, book and exhibition seems particularly deserving of attention in a year that also marks the centenary of the outbreak of the first world war, an anniversary that has not necessarily encouraged a thoughtful examination of German history. Pagan Britain. By Ronald Hutton. 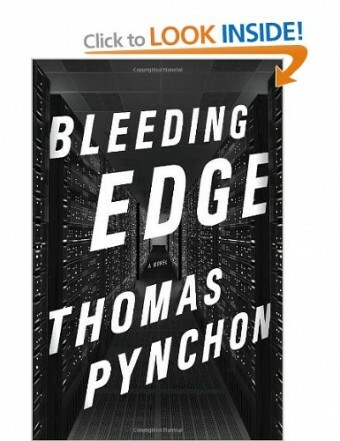 Yale University Press; 400 pages; £25. To be published in America in February; $45. Ronald Hutton describes his new book as a history of religious belief from the “Old Stone Age to the coming of Christianity”. So it is, but also it is more provocative than that. With “Pagan Britain” he has written a thoughtful critique of how historians and archaeologists often interpret ruins and relics to suit changing ideas about religion and nationhood. Intriguingly for a historian, Mr Hutton makes plain just how little evidence there is for belief systems of the distant past. THE dance between politicians and the press can appear awkward, largely because both sides want to be the ones who are leading. Doris Kearns Goodwin, a popular scholar of American politics, traces the early days of this fraught negotiation in “The Bully Pulpit”. Here she tells the story of Theodore Roosevelt, America’s 26th president, who at the turn of the 20th century became the first to install a press room in the White House. AT THE start of Donna Tartt’s third novel, her hero Theo Decker is 13 years old. His mother—adored and adoring, artistic, thrift-shop glamorous—has taken him to see her favourite painting, a small miracle of 17th-century Dutch art. 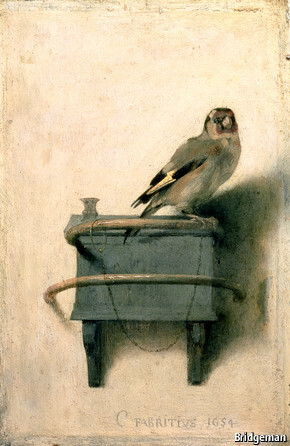 Carel Fabritius’s picture (right) gives the book its title, “The Goldfinch”, and in the opening scene it is hanging in the Metropolitan Museum of Art in New York. MAXINE TARNOW is riding the subway when this novel finally hits its stride. It is the year 2001 in New York City, not long after 9/11; Maxine, a freelance fraud investigator, begins to wonder how she is linked to what might or might not be a global terror plot flourishing online in the “Deep Web”, a nexus of servers and avatars which is still very much a hidden world. At 72nd and Broadway, her express train passes a local train: “the windows of the other train move slowly past, the lighted panels appear one by one, like a series of fortune-telling cards being dealt and slid in front of her.” A woman gestures to her from the passing train, they meet, and the stranger hands her an envelope: it looks like things could get interesting.